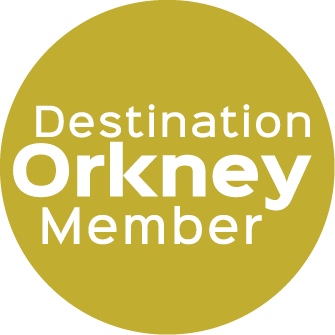 A warm welcome in the heart of the Orkney countryside. Summerdale Self Catering, in the parish of Orphir, is situated between the main towns of Kirkwall and Stromness in a quiet location and provides an excellent retreat for a relaxing holiday. The spacious apartment is situated on the upper floor of Summerdale, with its own entrance. There are splendid views from the house of Waulkmill Bay, one of the loveliest beaches in Orkney, and beyond to Scapa Flow. Kirbister Loch is also nearby as is the RSPB reserve at Hobbister. 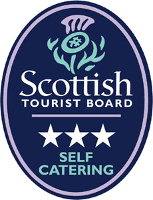 So if you are looking for the ideal place to unwind after taking in Orkney's spectacular scenery, its ancient sites or perhaps exploring the winding streets of Kirkwall or Stromness then you need look no further than Summerdale Self Catering. The accommodation consists of two bedrooms, one with a double bed and the other with two single beds. All bed linen and towels are supplied. The accommodation features a large dining area with space for children to play.The sitting room is comfortable and bright with beautiful views. The accommodation is situated off the main road but is ideally placed for quick access to many of the island's spectacular and historic sites. The bathroom has a shower only. You are also welcome to make use of our large garden, or why not make use of some of the facilities nearby. The Foveran Restaurant is less than 10 minutes away by car.